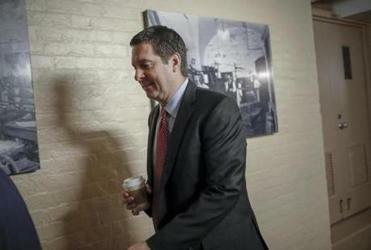 House Intelligence Committee Chair Devin Nunes wrote the memo that is drawing so much buzz. While Republicans are dutifully attending seminars in a West Virginia mountain resort on reforming the government and overhauling the nation’s roads, bridges, and airports, they’re also waging a preemptive spin war on the upcoming release of a classified memo that they say will call into question the integrity of unnamed senior FBI officials. The extent to which the memo dominated the conversation on the Republican lawmakers’ first full day at their resort getaway shows how the effort by the president and his allies in Congress to fight back against the Russia investigation threatens to eclipse all else. “There were some very poor decisions made at very senior level positions within the FBI and DOJ that fundamentally undermine who we are as a nation,” North Carolina Republican Representative Mark Meadows, chair of the conservative House Freedom Caucus group, told reporters Thursday at the historic Greenbrier resort nestled in the Appalachian Mountains. Representative Bob Goodlatte, chair of the House Judiciary Committee, said, “People in some of the highest levels of the bureau” need to be investigated. Q&A: What is ‘The Memo’? The fierce debate has threatened the relationship between the president and his hand-picked FBI director. While they seemed to agree that the memo was the focus of their current ire, Republicans are not entirely on the same script. Members of the House and Senate, and White House officials, issued conflicting demands and offered different interpretations of the document, which many lawmakers have not read. Democrats are cranking up their outrage over GOP attacks on the federal government’s most important law enforcement institutions that are responsible for keeping the nation safe against all manner of threats, including violent criminals and terrorists. President Trump made no mention of the memo Thursday when he addressed lawmakers in a buoyant, half-hour-long speech celebrating his first year in office. 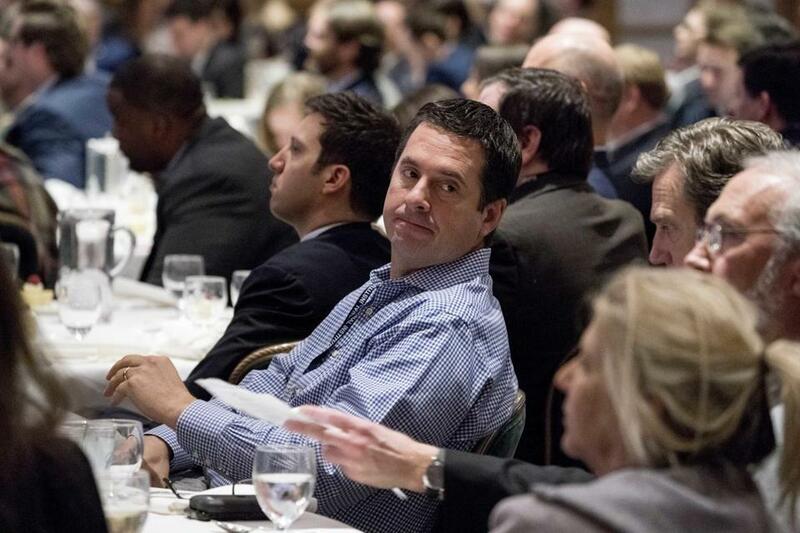 President Trump made no mention of the memo, written by House Intelligence Committee chairman Devin Nunes, on Thursday when he addressed lawmakers in a buoyant, half-hour-long speech celebrating his first year in office. But as soon as the president left, a senior administration official confirmed to reporters aboard Air Force One that he planned to authorize the memo’s release as soon as Friday. The New York Times reported Thursday that the memo alleges a highly classified FISA warrant in October 2016, obtained to conduct electronic surveillance on former Trump campaign aide Carter Paige for ties to Russia, was based on intelligence from a dossier created by Christopher Steele, whose opposition research on Trump was bankrolled first by a conservative news site and then a Democratic law firm linked to Hillary Clinton’s campaign. 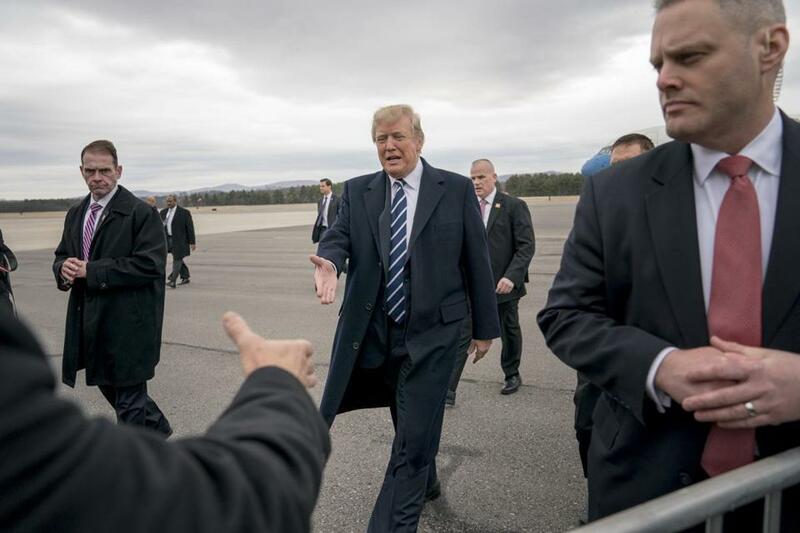 GOP lawmakers scheduled the Greenbrier gathering to discuss their agenda for the coming year, which includes addressing the president’s call for a $1.5 trillion infrastructure package. Republicans passed a significant tax cut last year but now face the prospect of a difficult midterm election. The memo is one defense to the drip of bad news about the investigation into Trump, who remains unpopular in polls and could drag down lawmakers’ reelection campaigns. House Speaker Paul Ryan attempted to push back against the perception that Republicans are undermining Special Counsel Robert Mueller’s investigation into potential ties between the Trump campaign and Russian officials, or to malign federal law enforcement officials in general. “Let me tell you what this memo is and what this memo is not,” Ryan said in a press conference at Greenbrier Thursday. “What the memo is, is Congress doing its job in conducting oversight to a very unique law, FISA.” FISA refers to the Foreign Intelligence Surveillance Act, which allows the government to spy on US citizens and foreigners with warrants from a secret court. Ryan stressed the document must be “scrubbed” of any mention of underlying sources or methods. But Perry, the Pennsylvania Republican, said he wanted the underlying documents released with the memo for all to see. “Otherwise the other side is just going to say this is political,” Perry said. While the 3½-page document is creating a media firestorm and dominating conversations at the retreat, many lawmakers are still trying to determine how to react. Senators remained pretty much in the dark about its contents, including Senate majority leader Mitch McConnell. Asked if releasing the memo could reduce trust in law enforcement, Lankford said he didn’t know. “I hear the rumors and such around it, but I have no idea,” he said. Democratic lawmakers have accused Republicans of pushing half-baked conspiracy theories in order to discredit Mueller’s investigation into the Trump administration and Russia’s interference in the 2016 election. The House Intelligence Committee’s ranking Democrat, Adam Schiff, called the memo “an effort to protect the president at any cost.” Some Democrats believe the drama created by the memo is a deliberate effort to lay the groundwork for Trump to fire Mueller. The memo is just the latest battle in a war against the leadership of the FBI waged by a faction of House Republicans, one that has recently gone mainstream within the party. Senator Ron Johnson, a Wisconsin Republican, told Fox News last month the FBI was rife with “corruption” because of a text message between two officials that mentioned a “secret society.” He later conceded that this text was likely a joke. One of those FBI officials, former counterintelligence agent Peter Strzok, was removed from Mueller’s probe when text messages requested by multiple congressional committees appeared to show personal bias against Trump. 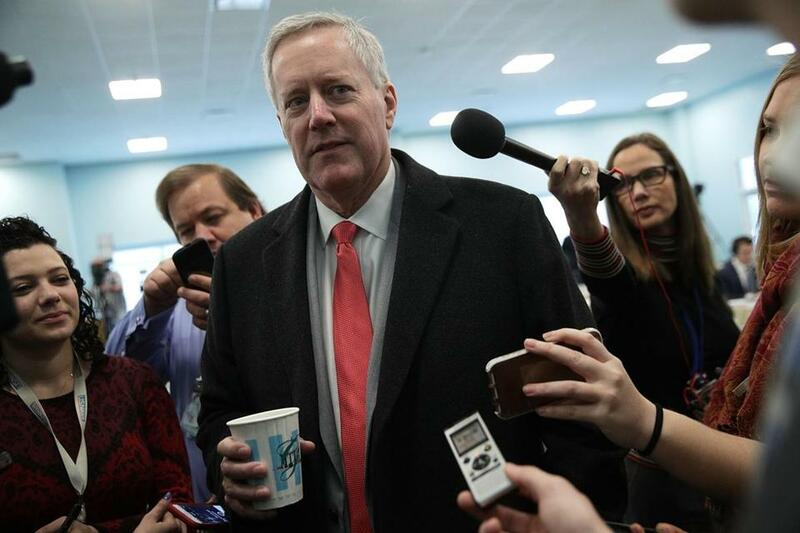 Representative Mark Meadows is chairman of the Freedom Caucus. Meadows, the Freedom Caucus chair, renewed his call for a second special counsel to investigate “what actually went on” in the FBI and Justice Department during its investigation of Hillary Clinton’s e-mail server. That subject is already the focus of an investigation by the inspector general for the Justice Department. A handful of Republicans urged caution about the memo’s release, especially before the Senate has had a chance to examine it.